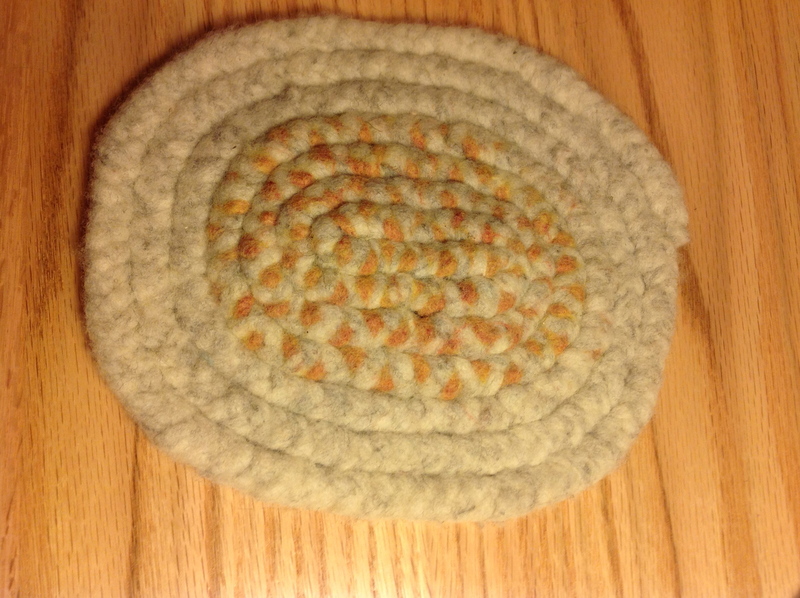 Having finally found the Shepard’s Rug book, I was anxious to try making one. 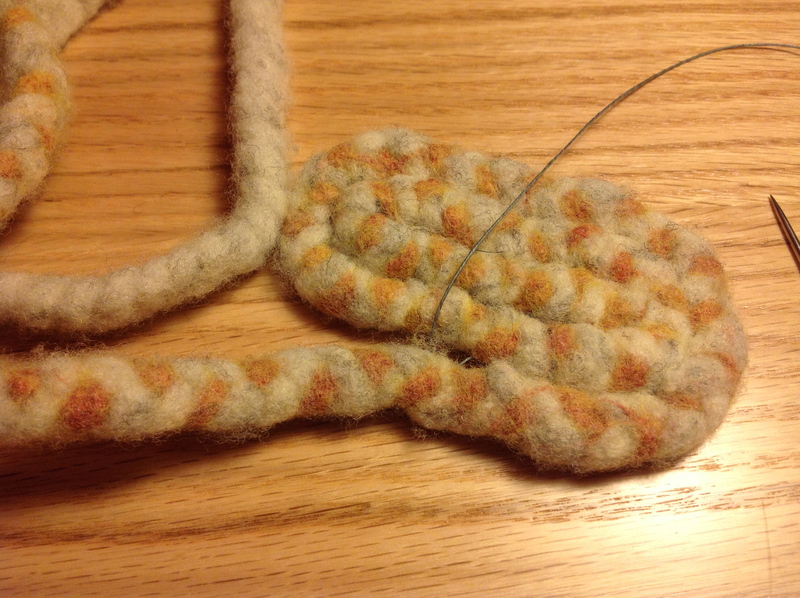 I decided to make a ‘rugette” to practice my braiding, felting and sewing. 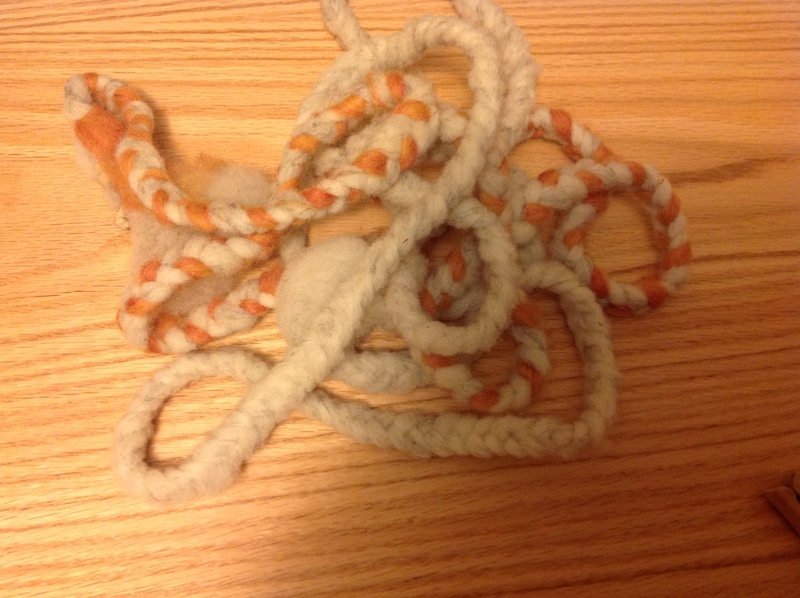 First I gathered my roving. 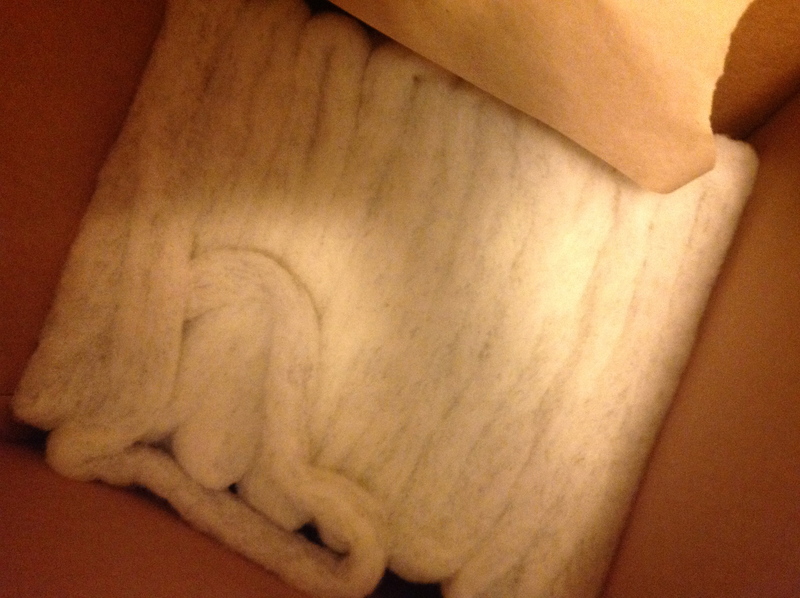 My inspiration for wanting to make these rugs is 3 boxes like this of roving (see this post). All you newbie spinners, heed my advice and do not randomly take wool from the person who has a friend who has some sheep. 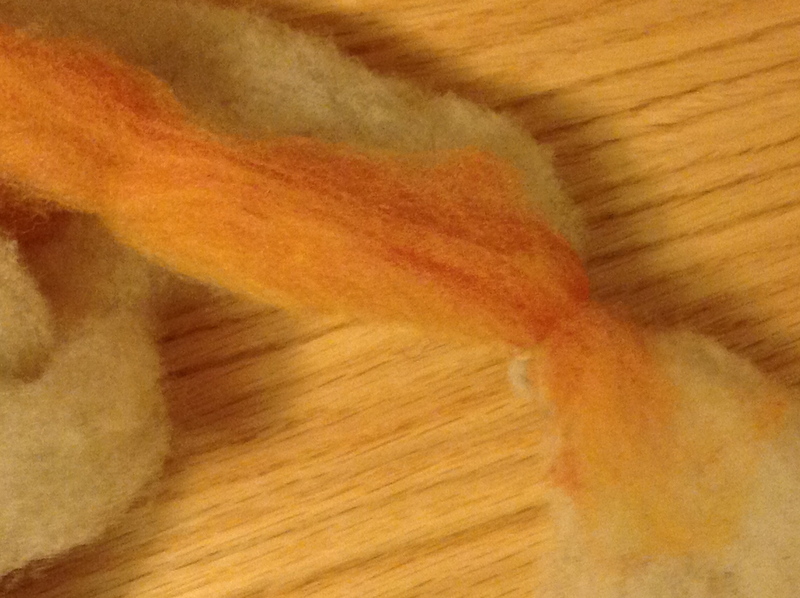 The staple length on this was not great, nor was the crimp, and I was not enjoying spinning it when I tried it. The wool is from Suffolk and Hampshire lambs. Options were to give it away to the school perhaps for an art class, or to try to find something that I could make from it, I had paid for the processing after all. Start by picking your 3 strands, all should be of different workable lengths, and secure the end with a rubber-band, clamp to a secure surface and start braiding, making sure not to twist. When you need to stop, secure it with a clothes pin. 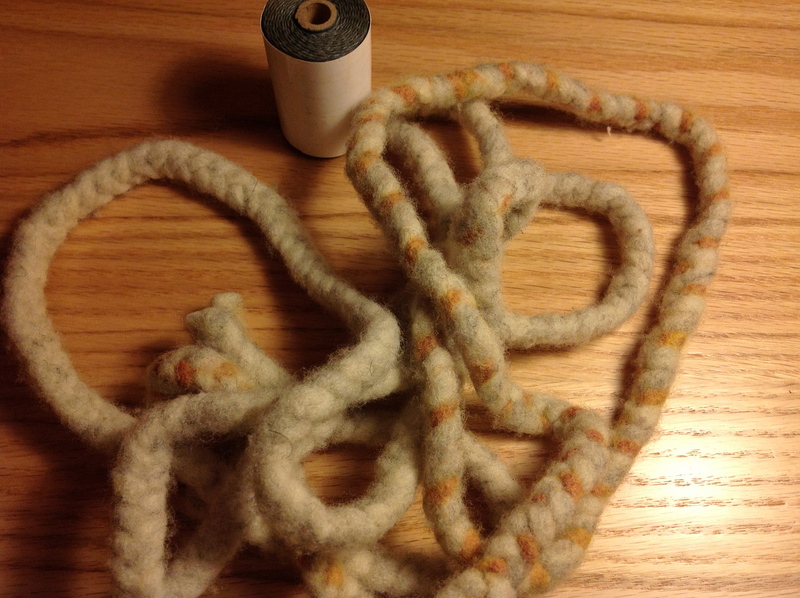 Overlap at joints when adding a new section of roving, remember this will all be felted so will become secure. Braid the length you need and then secure the other end with another rubber band. 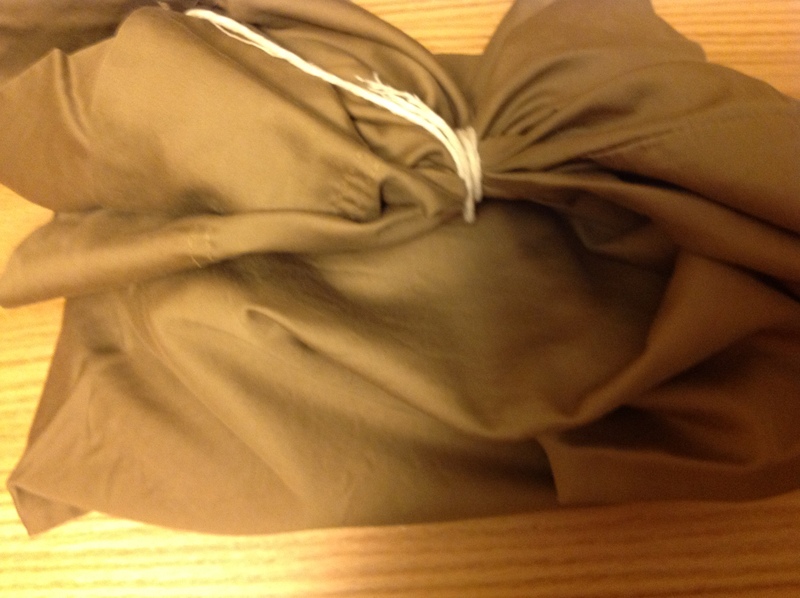 Put into a bag tied shut and wash in hot water for at least one cycle (I used a pillowcase and added towels to the cycle to help bounce it around). 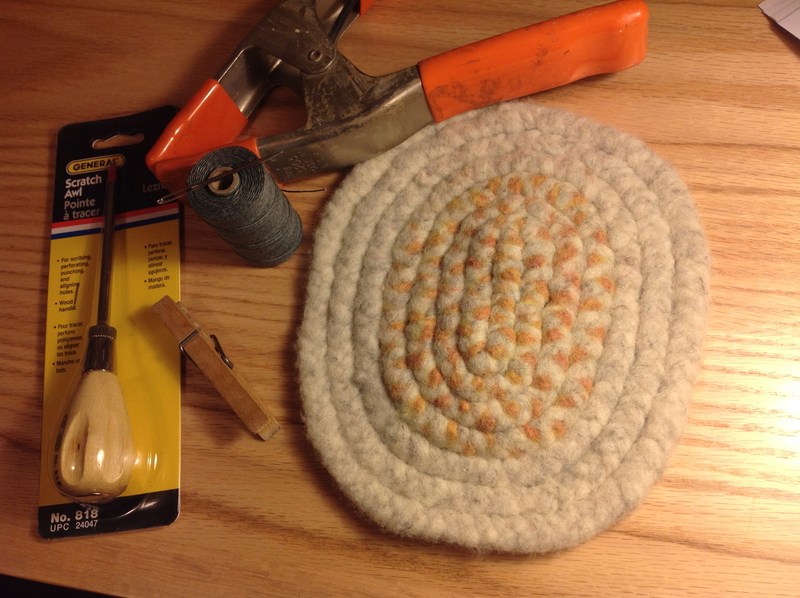 When it comes out, sew on a flat surface; you will need a wax-coated lined thread. And voila! I see that my beginning section was sewn too tightly so it puckers up a bit. This was a great first attempt, and it is pretty easy. My instructions here are very rudimentary, I would suggest getting the book if you want to try this. 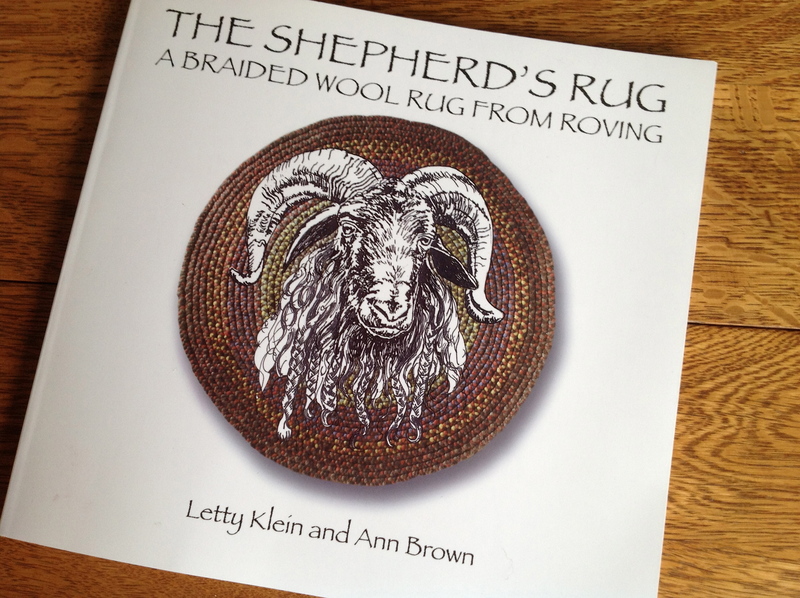 The book has much more detailed instructions, great drawings to illustrate every step of the process, colored photos of finished rugs, and information on several different sheep breeds that they have used. Here is everything that you will need to make this project, in addition to your roving. 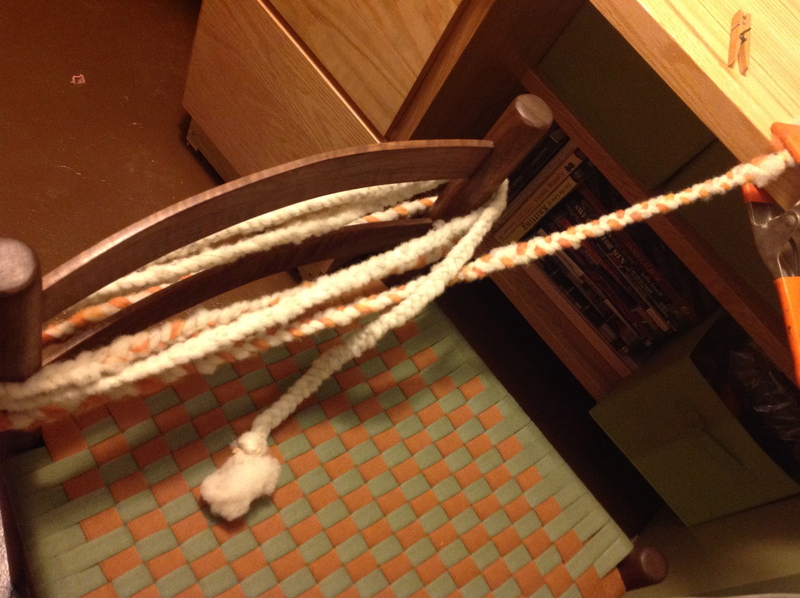 A clamp, rubber bands, an awl (for hiding the knotted join in the thread), a spring clothes pin, waxed lined thread, a large sharp needle, and a flat surface and a chair back. Now on to making a big rug!!! Reblogged this on Southeast Valley Artisans Guild. Thanks for a picture loaded post!! 🙂 I may just try this one day! I will not get sucked into this. I. will. not.